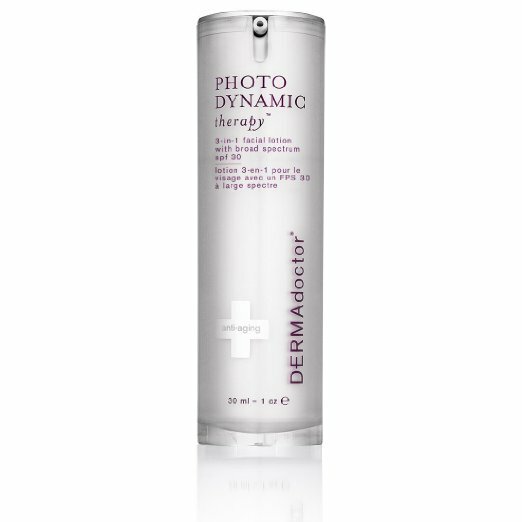 The "Dynamic Duo", antioxidants and sunscreen, work in concert to protect your skin from developing wrinkles and all the other symptoms of aging skin. 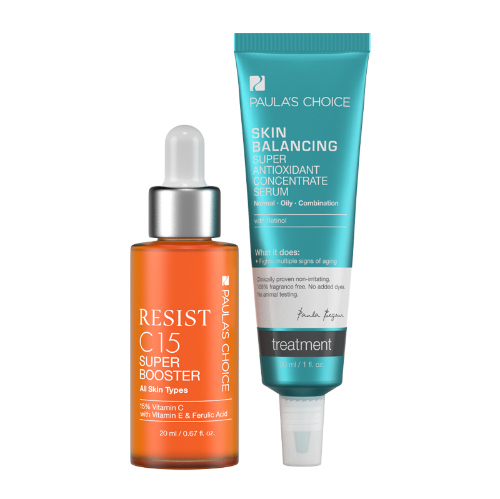 Absolutely very anti-aging routine needs the help of this powerful dynamic duo. There are a number of ways to incorporate this dynamic duo into your skin care routine. A very basic skin care for aging skin routine includes a moisturizer with a good quality antioxidant ingredient along with both a UVA and UVB sunscreen component. That way every morning when you apply your moisturizer, you also add protection against the sun. Though to really address a range of aging skin concerns, it is beneficial to incorporate a few different anti-aging treatments by using the layering technique to provide the skin with as much nourishment as possible to promote healing as well as to protect against future damage. Remember that it is critical to reapply regularly throughout the day, especially if you will be spending time out in direct sun. 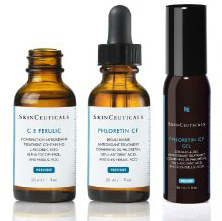 Daily replenishment of topical antioxidants benefits the skin by providing an arsenal for cells to deflect the assault and minimize the damage created by free radicals is essential. Topical antioxidants and sunscreen improve skin health. Antioxidants and sunscreen work in concert, reinforcing the others ability to protect the skin from the potentially damaging effects of the sun. What to look for in a sunscreen. 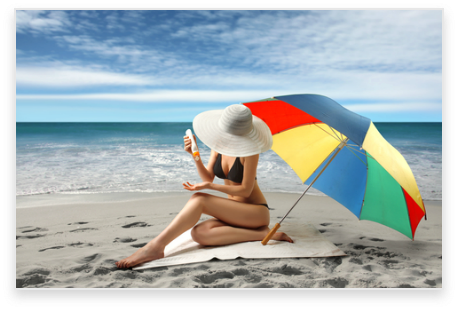 . .
Sunscreen, as the name implies, screens out the skin damaging rays of the sun while sunblock actually blocks the sun damaging rays from reaching the skin. both UVA and UVB rays. 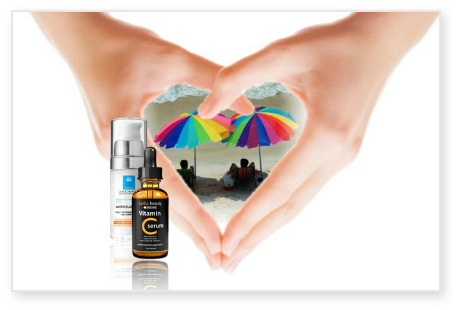 Protecting the skin from the sun significantly reduces free radical activity which thrive in over exposure to sunlight. 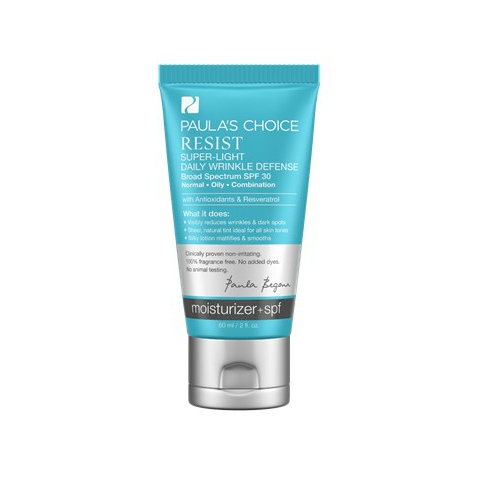 Your skin needs that protection! 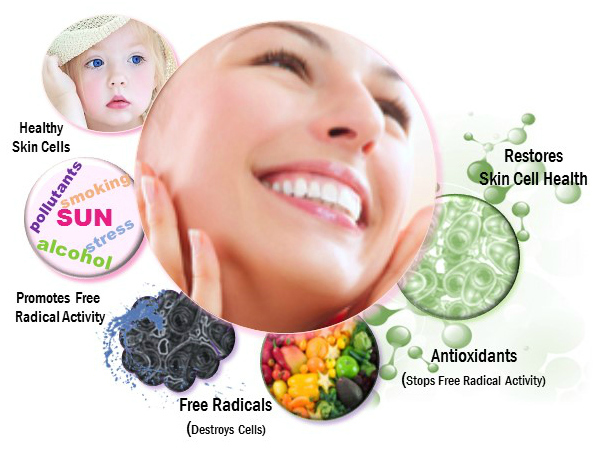 Free radicals work to break down the collagen and elastin in the skin which in turn causes the skin to wrinkle, sag, and produce more melanin which in turn increases the occurrence of age spots. Give your skin the most armor possible by using both antioxidants and sunscreen. That way you will achieve the equivalent protection of a well protected bunker rather than just a camouflage net. What some neglect to do is remember to reapply a sunscreen product every few hours throughout the day. Once a day just isn't enough, especially if you are out in the sun. aging skin needs all the help it can get! A variety of anti-aging skin care products incorporate antioxidants including moisturizers, toners, masks, serums, peels, and scrubs which all help to protect the skin against free radical damage. 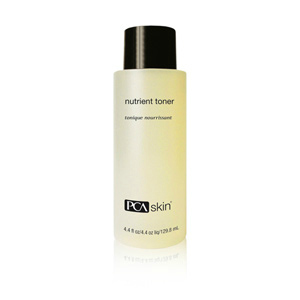 Combining antioxidants benefits with sunscreen begins a basic plan for skin care for aging skin. 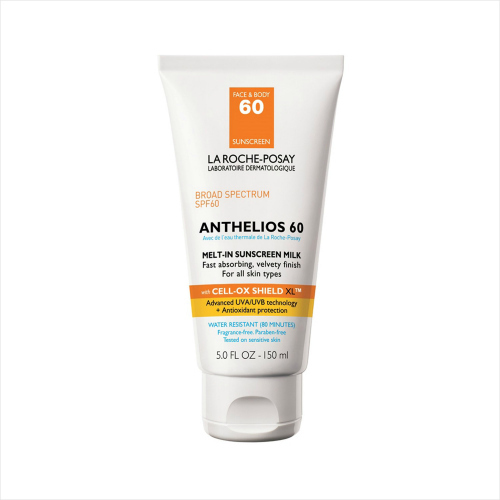 Sunscreen products improved quite a bit with the recent approval from the FDA La Roche-Posay's Anthelios SX, a longer lasting sunscreen with a new ingredient, ecamsule, which now goes farther than ever before to protect against sun damage and skin cancer. You'll find the whole story by reviewing the article on sunscreen and skin cancer. The antioxidants benefits a skin care for aging skin routine by working in concert with sunscreen to amplify the effects of your skin cells' ability to protect and repair themselves. Making the Power of the Dynamic Duo more invincible than ever!